Last year, MI Abaga stirred controversy with his song YRSFUYL, with #LAMBAugust, he seeks to make the biggest sacrifice yet for the genre. 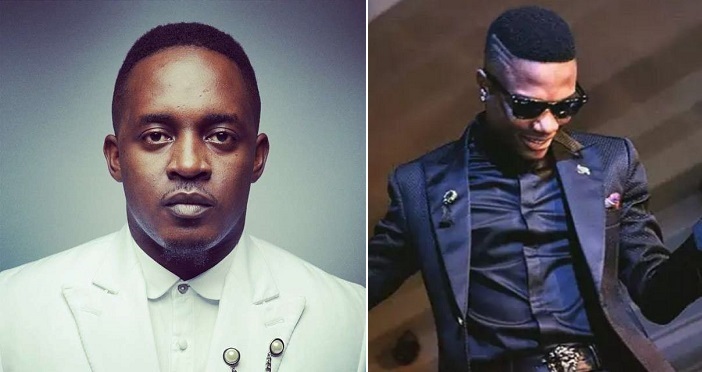 In July, MI Abaga announced three projects scheduled for release this month. #LambAugust will see albums from MI, Loose Kaynon, A-Q and BlaqBonez as they attempt to put hip-hop in the conversation yet again. Last night at a rooftop somewhere in Lekki, Lagos, Jude 'MI' Abaga presided over an exclusive listening session of his upcoming album, Yung Denzel and two others executive produced by him, the joint album by Loose Kaynon and A-Q, ''Crown'' and ''Bad Boy Blaq'' by Blaqbonez, just three days ahead of the first release from the trilogy. Watching MI, as he related with the DJ before taking his seat on the stage, this phase was important. It was not about what the short black boy could do, it was about his ability to still do it. When he released the scathing single, YRSFUYLlast year, many pointed a finger back in his direction questioning his once infallible instincts. Now, this is not just about him, three projects bear his imprint, three albums due for release in three weeks. It was in 2008 when he made his first major contribution to the genre with the Talk About Italbum, becoming one of the biggest rap albums ever made. He has lasted a decade and in 2018, MI Abaga is taking yet another step to define the culture. As I sat through the listening session, my mind wandered to the mighty elements, 'Earth, Wind and Fire', and that is what these projects are offering. MI's project is 'Earth', introspective, insightful and unravelling, Bad Boy Blaq is 'Wind', that airy trappy wave, while 'Crown' is simply 'Fire', a hip-hop bar fest with grimy lyrics. Yung Denzel is M.I's eight studio project and the first in his three album series that covers a 'study of love', 'study of society' and 'study of self'. The first edition is the study of self, one he defines as his most introspective project. The album touches on a number of issues personal to him, in a way reminiscent of Jay Z's ''4.44'' album, it also houses a song on mental health, which he says was recorded over a year ago. Yung Denzel contains 10 songs that span for almost 40 minutes, and a line-up of interesting collaborators but noticeably few rappers in Tay Iwar, Cina Soul, Niyola, Odunsi the Engine, Patricxxlee and Lady Donli. M.I's mother also makes her singing debut via a voice note on one of the songs. Producers like Reinhard, M.I, Beats by Jayy, CKay and Alpha who worked with Blaq Bonez on his project are some of those who provided the right instrumentals for the rappers to flourish. The different projects present a hybrid of production from boom bap to trap, to heavy keys that across board showcases the sonic evolution of the individuals and their understanding of modern demand. Comedian and singer, Chigurl features on track nine of the Crown project titled, 'Hustler's Prayers', and according to M.I, her verse was a voice note that was forwarded to him, just before she went in for surgery the following morning. What the talented young producer, Reinhard did on this beat is deemed illegal in over 50 countries on earth. Four hungry emcees, a dope instrumental, A-Q and Loose sandwiched in between verses from the SDC duo with Ghost taking the first verse turned out to be a blood fest. Ghost flew off the blocks in a way that got everyone afraid, but Q was able to match his energy and bars while Loose and Tec buried this joint. This is hard and one of the best posse cuts you will listen to this year. For someone who has been following the progress of this young rapper for many years, I struggled to adapt to his recent evolution and like he said at the session, ''I don rap, like I don too rap'', now he is all about the music. Blaq may be wearing the humble tag these days, but he finally seems to have chiselled his art appropriately into a wholesome piece. According to the rapper, he would stare at the top of music charts and see names of other artists and always wondered how it would feel like to have his name among the greats someday. ''I used to look at the music charts and see names like Tiwa Savage, and I wondered how it will be like to have a Tiwa Savage featuring Blaq Bonez on top of the charts someday. I felt Blaq Bonez was too strong a name, that is how I changed it to Bad Boy Blaq.'' he joked. While MI may have stirred the hornet nest with the release of YRSFUYL, there is no doubt he has shown a reinvigorated hunger to actually shape the conversation surrounding the culture in the country, and with Loose, A-Q and Blaq, he has the right army to make a movement happen. The Crown album will be released on Friday, August 17, with Yung Denzel and Bad Boy Blaqdropping in subsequent weeks.